In the 1960s you weren’t getting flowers at Dawn’s Floral, you were getting gas and buying cars. 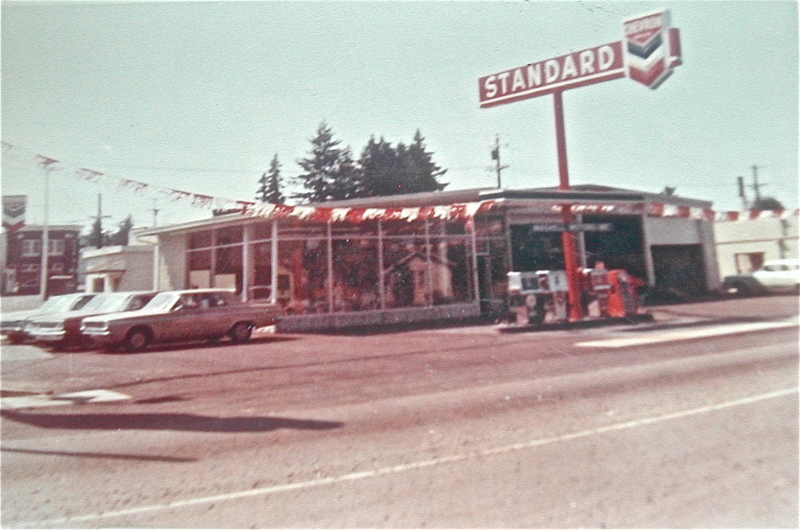 In 1969 David’s dad was offered a larger dealership in Aberdeen,Wash., and the family moved. 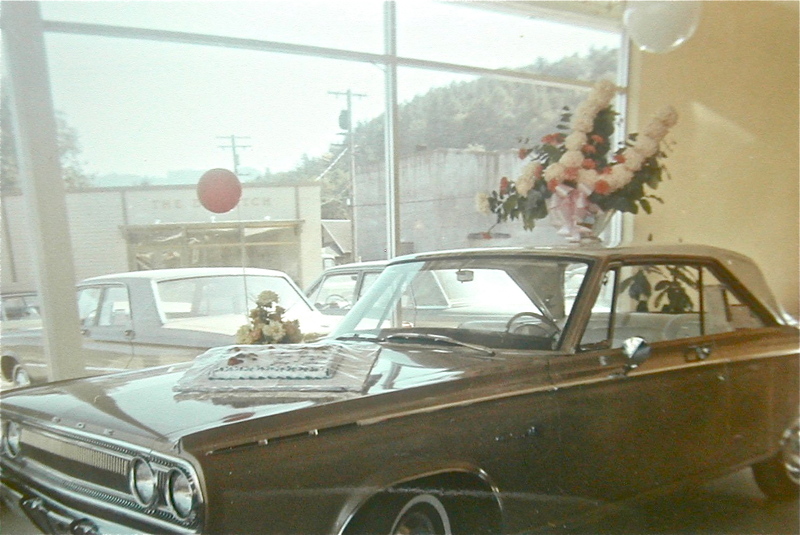 In this second picture of the dealership’s grand opening in 1965, you can see the Dispatch outside the showroom window. Interior of Showroom on grand opening day. Photos are courtesy of David Beane. Our family bought cars and gasoline from Jim for years. Jim helped dad put in the control cables and steering assembly in our 1959 Mansfield Hollywood Clipper speed boat. Both our families enjoyed living on Clear Lake. 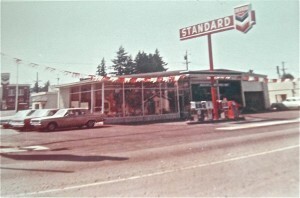 I also worked for Jim selling gasoline to customers on weekends when I was in high school. He was a great guy. Like I mentioned in the latest post that Diane put up, with your Dad and aunts, My dad was always talking about your dad. You must have been a few years older than me, but I bet it would have been great to have known you back then. Hopefully you get this posting. I did some searching on the internet for the boat your Dad had, and I think I found some pictures, but don’t have a way to forward them to you. If you have a fb page or an Email, let me know. My email is: beaneheads@aol.com or go to my fb page.